Dandenong is an outlying district of Melbourne and is a part of the country Victoria, Australia. The postcode of Dandenong is 3175 and it’s Geo location is Latitude: -37.981 and Longitude: 145.215. 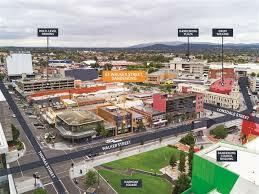 The town is a good 37 kilometers away from the central business district of Melbourne. The exact location of this town revolves around the Dandenong Creek, which again is situated in the foothill of the Dandenong Ranges. Dandenong serves as an integral administrative center for the city of Greater Dandenong. With an attempt to calculate the total population of this town, a census was carried out in the year 2016 according to which the population had reached 29906. According to the history of Dandenong, it started off as a township in the year 1852. By the arrival of the 20th century, this town gained pace and was later recognized as an integral regional city. It emerged with its own suburbs. Furthermore, in the middle of the 20th century, Dandenong was known to be an important metropolitan commercial and manufacturing area as well as greater a Melbourne conurbation. According to research carried out in the year 2014, the estimated population of the town was around 29000. For the longest time, this town has experienced major migrant settlements which brought about high-level diversity in its culture. Another study showed that almost 67 percent of the residents of this town were born in another country. The two major communities which prevail in this town are the Turkish and Albanian communities. Many languages are spoken by the residents of Dandenong. Although people do make use of the English language for basic conversations, a study has proven that almost 71 percent of its population speaks other languages as well. While in Greater Dandenong, the figure just goes up to 64 percent. This figure shows how diverse the culture of Dandenong is, making room for people belonging to different cultural and racial backgrounds.